Large range of Phillips, Pozi, slot, spanner, Hex, Torx, Torx tamper-proof and spline industrial quality, precision fit, S2 grade steel driver bits. 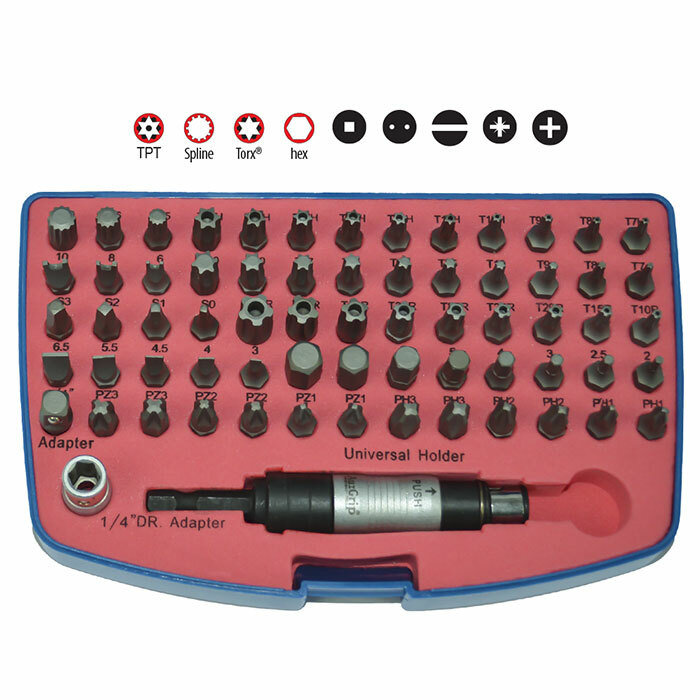 1/4” drive bit holder, 1/4” drive socket adaptor and wobble bit holder included. Supplied in a sturdy blow molded case that has a unique EVA foam insert with individually marked spaces for tool security. Torx is the registered trademark of Acument Intellectual Properties LLC. Contents - Hex Bits - 2, 2.5, 3, 4, 5, 6, 7 & 8mm. Phillips Bits - PH. 1 X 2, PH. 2 X 2 & PH. 3 X 3. Pozidrive Bits - PZ. 1 X 2, PZ. 2 X 2 & PZ. 3 X 2. Square Bits - S-0, S-1, S-2 & S3. Slotted Bits - 3, 4, 4.5, 5.5 & 6.5mm. Spanner Bits - 6, 8 & 10mm. 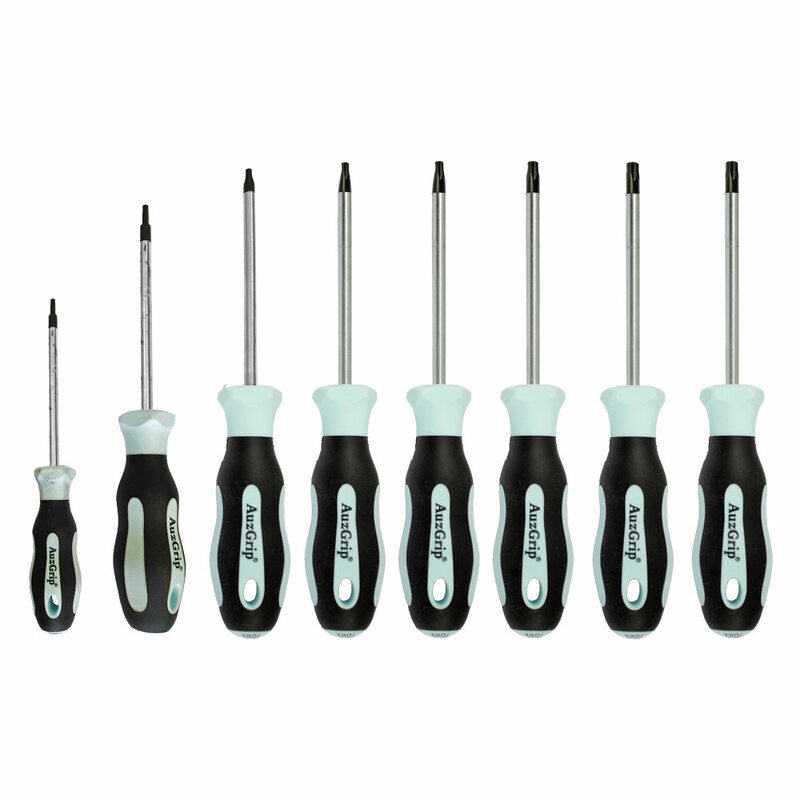 Torx Bits - T7, T8, T9, T10, T15, T20, T25, T27, T30 & T40. 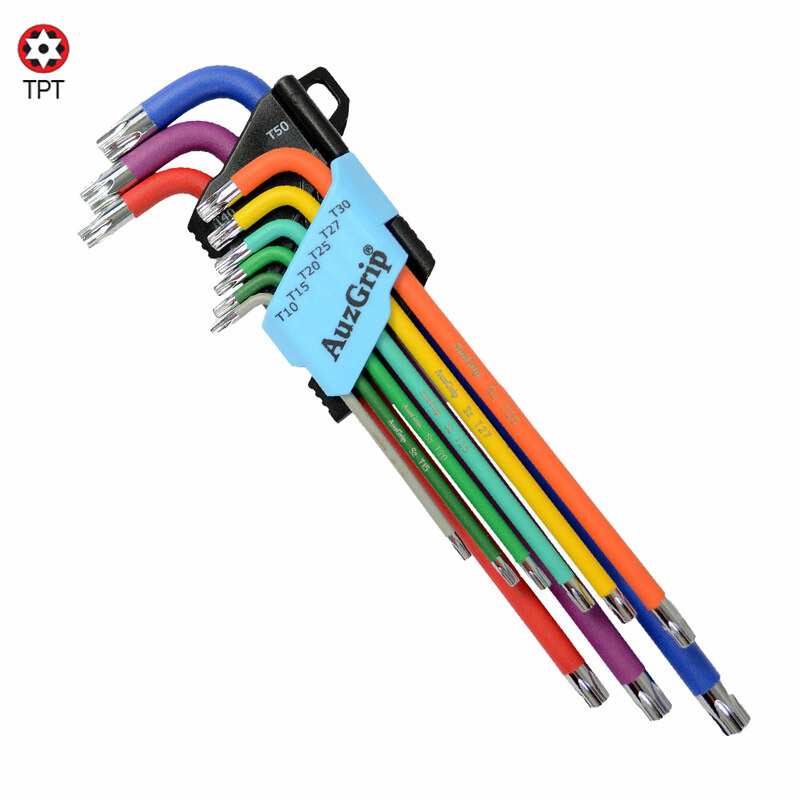 Tamper Proof Torx Bits - T7, T8, T9, T10, T15, T20, T25, T27, T30 & T40. Torx Plus Bits - T10, T15, T20, T25, T27, T30, T40, T45 & T50. Spline Bits - M5, M6 & M8. Wobble Bit Holder - 100mm. 1/4" Dr. Socket Adaptor - 25mm.